Discuss and provide several examples of each of the two main responsibilities of a business communicator. Whenever you speak or write in a business environment, you have certain responsibilities to your audience, your employer, and your profession. Your audience comes to you with an inherent set of expectations that you will fulfill these responsibilities. The specific expectations may change given the context or environment, but two central ideas will remain: be prepared, and be ethical. As the business communicator’s first responsibility, preparation includes several facets which we will examine: organization, clarity, and being concise and punctual. Being prepared means that you have selected a topic appropriate to your audience, gathered enough information to cover the topic well, put your information into a logical sequence, and considered how best to present it. If your communication is a written one, you have written an outline and at least one rough draft, read it over to improve your writing and correct errors, and sought feedback where appropriate. If your communication is oral, you have practiced several times before your actual performance. Part of being prepared is being organized. Aristotle called this logos, or logic, and it involves the steps or points that lead your communication to a conclusion. Once you’ve invested time in researching your topic, you will want to narrow your focus to a few key points and consider how you’ll present them. On any given topic there is a wealth of information; your job is to narrow that content down to a manageable level, serving the role of gatekeeper by selecting some information and “de-selecting,” or choosing to not include other points or ideas. You also need to consider how to link your main points together for your audience. Use transitions to provide signposts or cues for your audience to follow along. “Now that we’ve examined X, let’s consider Y” is a transitional statement that provides a cue that you are moving from topic to topic. Your listeners or readers will appreciate your being well organized so that they can follow your message from point to point. You have probably had the unhappy experience of reading or listening to a communication that was vague and wandering. Part of being prepared is being clear. If your message is unclear, the audience will lose interest and tune you out, bringing an end to effective communication. Interestingly, clarity begins with intrapersonal communication: you need to have a clear idea in your mind of what you want to say before you can say it clearly to someone else. At the interpersonal level, clarity involves considering your audience, as you will want to choose words and phrases they understand and avoid jargon or slang that may be unfamiliar to them. Clarity also involves presentation. A brilliant message scrawled in illegible handwriting, or in pale gray type on gray paper, will not be clear. When it comes to oral communication, if you mumble your words, speak too quickly or use a monotonous tone of voice, or stumble over certain words or phrases, the clarity of your presentation will suffer. Technology also plays a part; if you are using a microphone or conducting a teleconference, clarity will depend on this equipment functioning properly—which brings us back to the importance of preparation. In this case, in addition to preparing your speech, you need to prepare by testing the equipment ahead of time. Concise means brief and to the point. In most business communications you are expected to “get down to business” right away. Being prepared includes being able to state your points clearly and support them with clear evidence in a relatively straightforward, linear way. It may be tempting to show how much you know by incorporating additional information into your document or speech, but in so doing you run the risk of boring, confusing, or overloading your audience. Talking in circles or indulging in tangents, where you get off topic or go too deep, can hinder an audience’s ability to grasp your message. Be to the point and concise in your choice of words, organization, and even visual aids. Being concise also involves being sensitive to time constraints. How many times have you listened to a speaker say “in conclusion” only to continue speaking for what seems like forever? How many meetings and conference calls have you attended that got started late or ran beyond the planned ending time? The solution, of course, is to be prepared to be punctual. If you are asked to give a five-minute presentation at a meeting, your coworkers will not appreciate your taking fifteen minutes, any more than your supervisor would appreciate your submitting a fifteen-page report when you were asked to write five pages. For oral presentations, time yourself when you rehearse and make sure you can deliver your message within the allotted number of minutes. Good business communication does not waste words or time. There is one possible exception to this principle. Many non-Western cultures prefer a less direct approach, where business communication often begins with social or general comments that a U.S. audience might consider unnecessary. 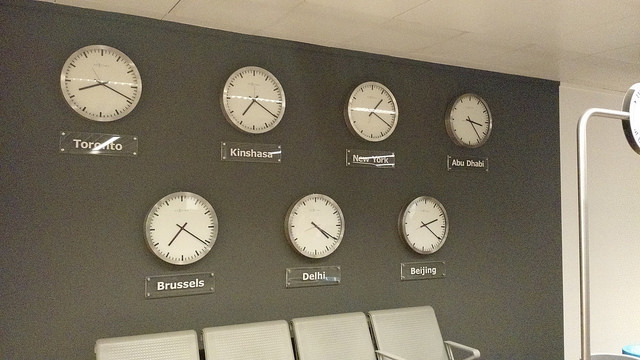 Some cultures also have a less strict interpretation of time schedules and punctuality. While it is important to recognize that different cultures have different expectations, the general rule holds true that good business communication does not waste words or time. The business communicator’s second fundamental responsibility is to be ethical. Ethics refers to a set of principles or rules for correct conduct. It echoes what Aristotle called ethos, the communicator’s good character and reputation for doing what is right. Communicating ethically involves being egalitarian, respectful, and trustworthy—overall, practicing the “golden rule” of treating your audience the way you would want to be treated. Communication can move communities, influence cultures, and change history. It can motivate people to take stand, consider an argument, or purchase a product. The degree to which you consider both the common good and fundamental principles you hold to be true when crafting your message directly relates to how your message will affect others. The word “egalitarian” comes from the root “equal.” To be egalitarian is to believe in basic equality: that all people should share equally in the benefits and burdens of a society. It means that everyone is entitled to the same respect, expectations, access to information, and rewards of participation in a group. To communicate in an egalitarian manner, speak and write in a way that is comprehensible and relevant to all your listeners or readers, not just those who are “like you” in terms of age, gender, race or ethnicity, or other characteristics. In business, you will often communicate to people with certain professional qualifications. For example, you may draft a memo addressed to all the nurses in a certain hospital, or give a speech to all the adjusters in a certain branch of an insurance company. Being egalitarian does not mean you have to avoid professional terminology that is understood by nurses or insurance adjusters. But it does mean that your hospital letter should be worded for all the hospital’s nurses—not just female nurses, not just nurses working directly with patients, not just nurses under age fifty-five. An egalitarian communicator seeks to unify the audience by using ideas and language that are appropriate for all the message’s readers or listeners. People are influenced by emotions as well as logic. Aristotle named pathos, or passion, enthusiasm and energy, as the third of his three important parts of communicating after logos and ethos. Most of us have probably seen an audience manipulated by a “cult of personality,” believing whatever the speaker said simply because of how dramatically he or she delivered a speech; by being manipulative, the speaker fails to respect the audience. We may have also seen people hurt by sarcasm, insults, and other disrespectful forms of communication. This does not mean that passion and enthusiasm are out of place in business communication. Indeed, they are very important. You can hardly expect your audience to care about your message if you don’t show that you care about it yourself. If your topic is worth writing or speaking about, make an effort to show your audience why it is worthwhile by speaking enthusiastically or using a dynamic writing style. Doing so, in fact, shows respect for their time and their intelligence. Trust is a key component in communication, and this is especially true in business. As a consumer, would you choose to buy merchandise from a company you did not trust? If you were an employer, would you hire someone you did not trust? Your goal as a communicator is to build a healthy relationship with your audience, and to do that you must show them why they can trust you and why the information you are about to give them is believable. One way to do this is to begin your message by providing some information about your qualifications and background, your interest in the topic, or your reasons for communicating at this particular time. Your audience will expect that what you say is the truth as you understand it. This means that you have not intentionally omitted, deleted, or taken information out of context simply to prove your points. They will listen to what you say and how you say it, but also to what you don’t say or do. You may consider more than one perspective on your topic, and then select the perspective you perceive to be correct, giving concrete reasons why you came to this conclusion. People in the audience may have considered or believe in some of the perspectives you consider, and your attention to them will indicate you have done your homework. Being worthy of trust is something you earn with an audience. Many wise people have observed that trust is hard to build but easy to lose. A communicator may not know something and still be trustworthy, but it’s a violation of trust to pretend you know something when you don’t. Communicate what you know, and if you don’t know something, research it before you speak or write. If you are asked a question to which you don’t know the answer, say “I don’t know the answer but I will research it and get back to you” (and then make sure you follow through later). This will go over much better with the audience than trying to cover by stumbling through an answer or portraying yourself as knowledgeable on an issue that you are not. When in doubt, remember the “golden rule,” which says to treat others the way you would like to be treated. In all its many forms, the golden rule incorporates human kindness, cooperation, and reciprocity across cultures, languages, backgrounds and interests. Regardless of where you travel, who you communicate with, or what your audience is like, remember how you would feel if you were on the receiving end of your communication, and act accordingly. Recall one time you felt offended or insulted in a conversation. What contributed to your perception? Please share your comments with classmates. When someone lost your trust, were they able earn it back? Please share your comments with classmates? Does the communicator have a responsibility to the audience? Does the audience have a responsibility to the speaker? Why or why not? Please share your comments with classmates. 1.5 Your Responsibilities as a Communicator by University of Minnesota is licensed under a Creative Commons Attribution-NonCommercial-ShareAlike 4.0 International License, except where otherwise noted.